How do customers move inside my store? How many customers stop in front of a promotion? How do they interact with displays and products? This is a fundamental part of the conversion funnel, whose importance has been fully understood just in the past few years. RetailerIN allows grocery stores to fully model the shopping journey of customers, providing category-level analytics and actionable insights. Grocery stores can now precisely understand the performance of every single area of the store, including aisles, end-caps and product categories. 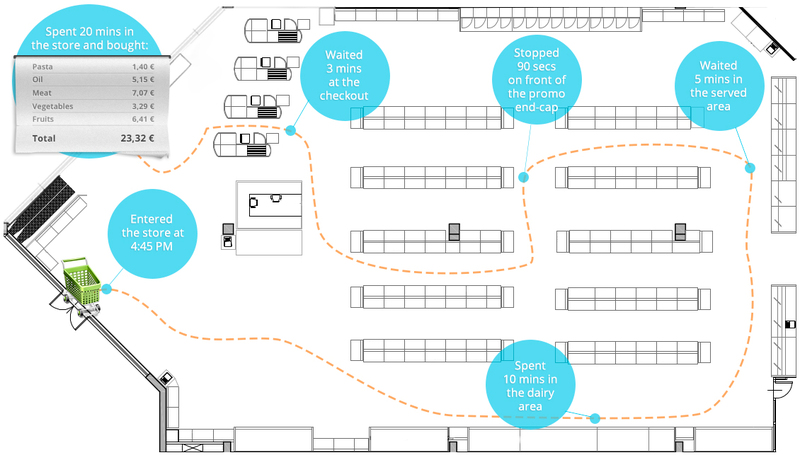 Analyse customers’ behavior by following shopper’s routes from entrance to exit with product level accuracy. Understand the store through the lens of your customers and optimise operations in real-time through predictive analytics. Personalise the shopping experience through highly targeted and personalised content. Integrate shoppers mobility with sales, taking retail analytics to the next level!